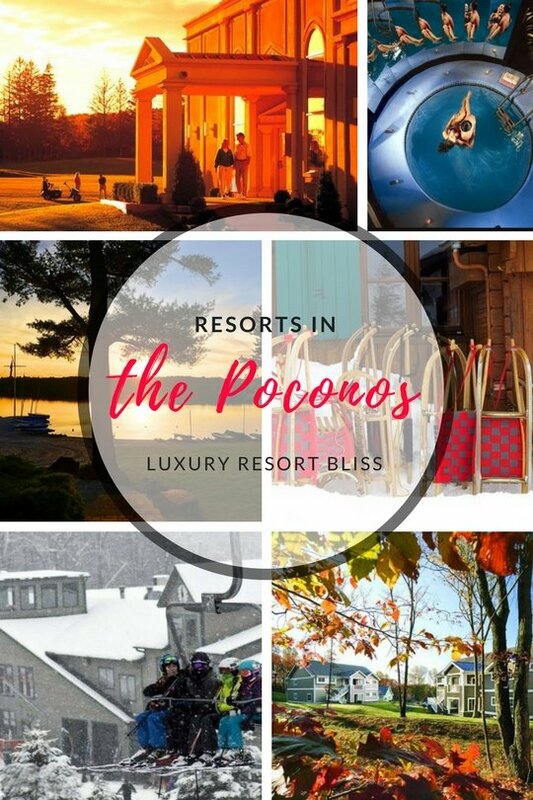 Looking for some great Poconos resorts? 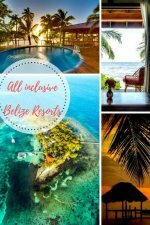 We've listed our top options followed by a number of other resorts and travel deals you can also check out in this area. Let's begin with an overview of the area. 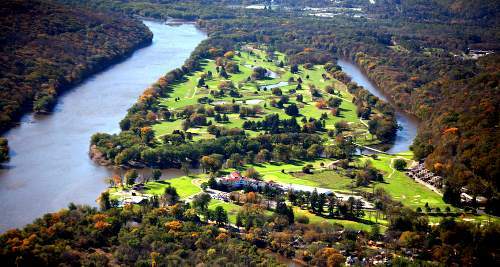 The Pocono Mountains are famed for their recreation opportunities with activities abounding through the seasons. Ski mountains, seven state parks and hiking and fishing are only a few of the many attractions available. Over 150 lakes surrounding these mountains and also importantly really outstanding resorts which let you make the most of the naturally relaxing environment. You may also like to see the Top 25 Poconos Resort Deals with Reviews on TripAdvisor or the Poconos All Inclusive Resorts. This 3 star couples-only resort is on 500 acres and perfect for couples who are active. "The Arena" is full of activities including racquetball, roller skating, mini-golf, billiards and arcade games. 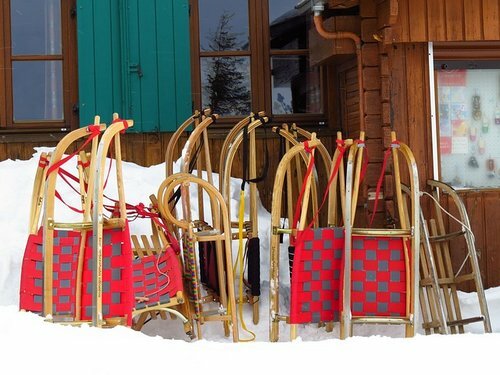 Winter sports are available in the winter. There's a lake and water activities in the summer including a 9-hole golf course. Special accommodations include the Roman Tower and Fantasy Apple suites. Some have the 7 foot champagne bath. Reviewers tend to love or hate this resort. In general, there are good reviews. Bad reviews are centered around cleanliness. Located at the base of Camelback mountain on Great Wolf Dr, Scotrun PA. Many of our readers are already familiar with the Great Wolf set up. This is a fair sized property with 401 guestrooms and 4 restaurants. Kids will love the water parks and splash pads which really do suit all ages. For moms and dads there is also a full-service spa. Camelback Ski Area is about four miles away. 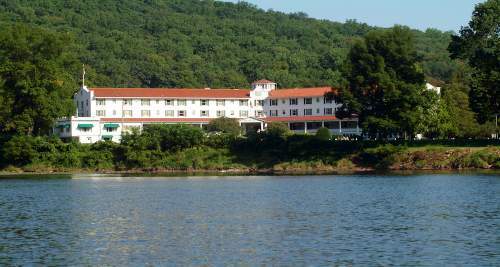 This is a classic 3 star Poconos resort set in a wonderful location at the bottom of Camelback Mountain. There are lots of well maintained facilities including both indoor and outdoor pools, spa tubs, business centre, fitness centre, 1 block from the beach, close to shopping. There are 152 guest rooms which includes 37 lofted suites which have good access to Camelback Ski Area and the Camelbeach Waterpark. 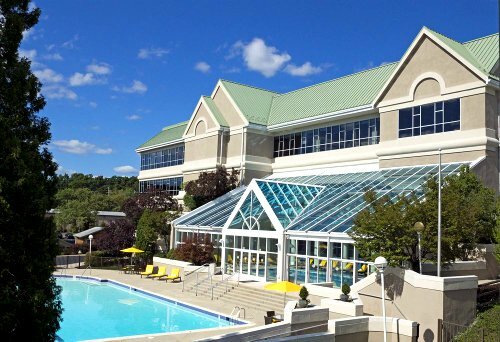 A great Poconos 3 star resort touted for it's mountain location at the foothills of the Delaware mountains in Delaware and only 75 km from NYC. Lot's of recreational activities including golfing and skiing. Guestrooms have cable TV. 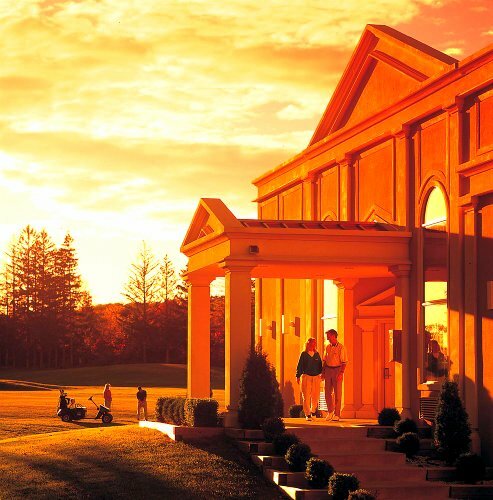 Out of ski season many come to enjoy the spectacular looking golf courses and academy. 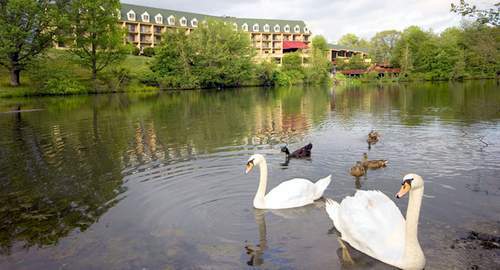 Video of how Shawnee Inn And Golf Resort looks in the spring time. 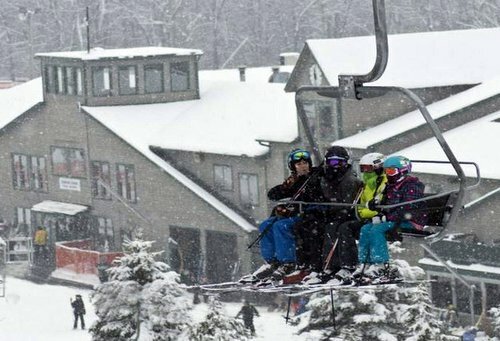 There are some great Poconos ski resorts also located at Shawnee. 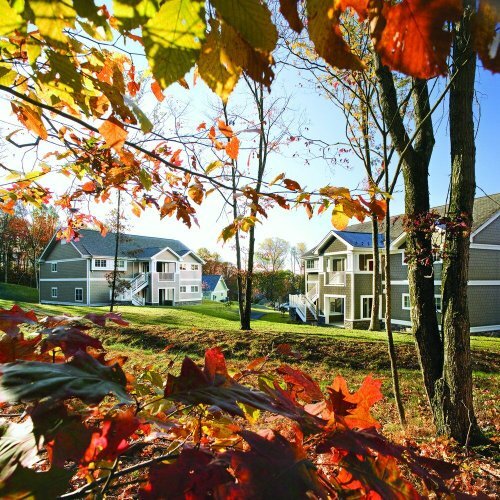 This 3 star resort is located next to Bushkill Falls in the eastern Poconos. There's a kid's club, health club, night club, nightly entertainment, massages, a climbing wall and lots of other activities. There are 166 rooms with complimentary wireless Internet. Reviewers say it's great for families and kids love it. 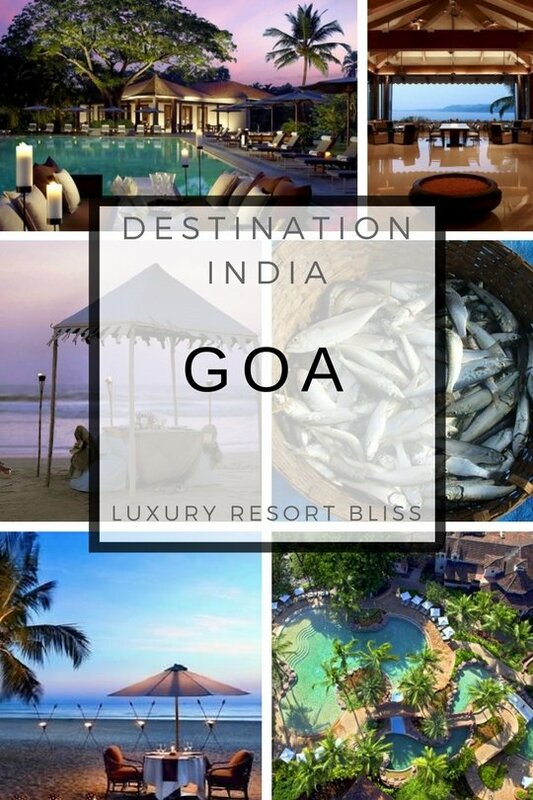 There are a few more resorts worth mentioning. They get lower reviews than the previous 3 but they still have a lot to offer. 18-hole golf, winter recreation, themed restaurants, entertainment and scheduled daily activities. 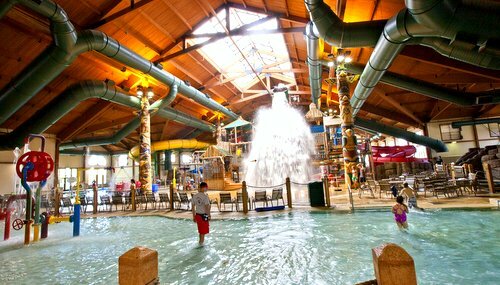 For more in the Poconos, visit Poconos All Inclusive Resorts.